Did you know that you can marry in a Church of England Parish Church whether or not you are baptised or attend worship? Anyone who lives in the parish, worships at the church, or has one of the other qualifying connections listed here has the right to be married at All Saints’. If you have previously been married and divorced it can still be possible to marry in Church, depending on the circumstances. Please feel free to contact us for any further advice or information or to discuss booking a wedding. 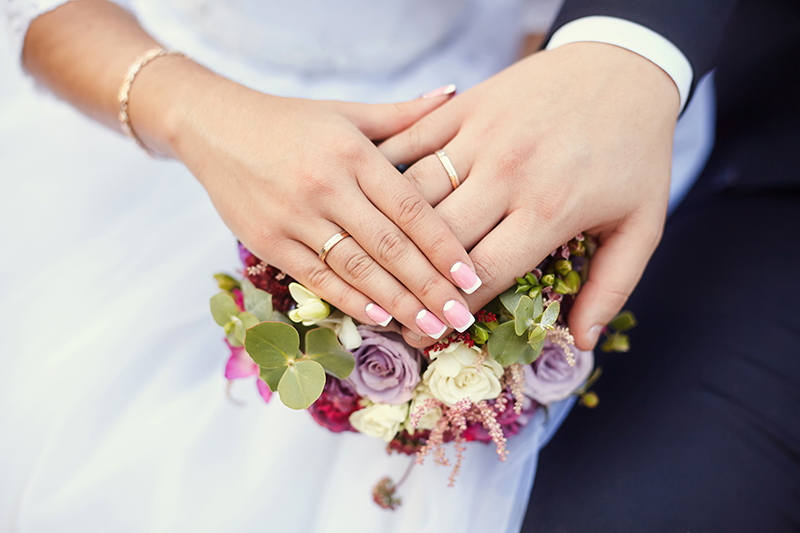 If you book your wedding with us, we will help you prepare for your big day, and for a lifelong marriage. We invite all couples to a wedding preparation day early in January and the vicar will meet with you when you first book and nearer the time. A rehearsal a couple of days before the wedding helps ease nerves. Our wedding co-ordinator will be a source of helpful advice and support along the way. We have a skilled organist and choir who can enhance your wedding service with appropriate music of your choice. 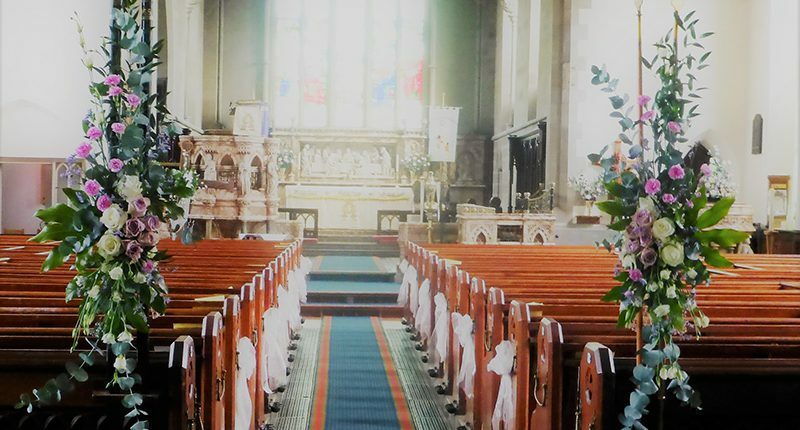 Our talented flower team can arrange flowers of your choice to make the Church look extra special for your big day. You can see some examples in the gallery. The Church of England has a useful website which will help you plan your wedding.